Showing posts by Russell Sticklor. In terms of groundwater depletion, “Yemen and Gaza are probably the two places worst off in the Middle East,” Aaron Wolf told ECSP in a recent interview. Wolf, a water expert and geography professor at Oregon State University, said population growth across the broader Middle East region has led to intensified groundwater pumping in recent years. This trend has raised the prospects for water-related conflict down the road, as countries drain their groundwater stocks faster than the aquifers can recharge. Potentially complicating matters further, said Wolf, is that most aquifers in the Middle East cross international boundaries. Despite the region’s history of water tensions, Wolf said the unprecedented level of demographic change currently being experienced across the Middle East is not necessarily a recipe for future confrontations over the resource, in part thanks to the existence of water-sharing agreements in the area. Nevertheless, mounting demand will likely force water-users across the region – especially within the agriculture sector – to change the ways they utilize the resource. Accounting for 80 to 90 percent of total water usage in some Middle Eastern countries, agricultural operations have already been forced to adjust to the evolving water-access situation. While moving from flood irrigation to drip irrigation represents one policy option if sufficient funds are available, Wolf said doing away with local food production “is a path that a lot of countries are going to have to take” to ensure a relatively stable water supply for their populations’ drinking, cooking, and cleaning needs. Wolf added that one frequently discussed but not entirely realistic option for addressing the region’s water-supply concerns involves desalination. To date, widespread deployment of the technology has been hampered by high costs and substantial energy requirements, although that hasn’t stopped a few countries in the region – among them the United Arab Emirates, Saudi Arabia, and Israel – from becoming partially reliant on converted fresh water. Wolf maintained that desalination’s hefty price tag means the technology is useful only for urban population centers near the coast. Moving converted sea water further inland remains a non-starter, he said, because transporting it requires an enormous amount of energy (a cubic meter of water weighs a metric ton). The “Pop Audio” series is also available as podcasts on iTunes. Sources: American University, International Food Policy Research Institute, World Bank. “For the first time in human history, more than one half of the world’s population now lives in urban areas, and some of the largest and fastest growing population centers in the world – countries like India, China, parts of sub-Saharan Africa – are in areas where water resources are becoming more and more scarce,” said Water.org’s Rich Thorsten in a recent interview with ECSP. Thorsten serves as director of international programs for Water.org, which partners with local communities, governments, and NGOs across Central America, South Asia, and Africa to bring improved water sanitation to at-need rural and urban populations. He emphasized that ensuring access to clean water has a number of positive spillover effects, ranging from improved prospects for economic development to greater social stability, since access to non-polluted water supplies removes one potential source of tension within and between communities. Thorsten said that community participation has been a key aspect of ensuring the sustainability of Water.org’s projects. To pave the way for continued gains in economic development and public health, he said they work alongside water users, engineers, and government officials in target communities to make those parties stakeholders in the infrastructure development process. Fostering a sense of community ownership of sanitation projects helps reduce the likelihood that infrastructure will fall into disrepair or disuse after the initial programming intervention has been conducted. Given that improving water-sanitation access for the world’s poor is a key element of the UN Millennium Development Goals, Thorsten said he is pleased the subject seems to be attracting more attention within the policymaking and development communities. Despite the positive momentum, however, he acknowledged the fight to ensure clean-water access for the developing world will remain an uphill battle. “When one considers that….about 2.6 billion people lack access to basic sanitation, that there’s more people in the world that have access to a cell phone than a pit latrine or a toilet, it’s still a very daunting task that will require a lot more investment, commitment, and attention in order to improve the situation for billions of people,” Thorsten said. More challenging, said Seto, will be getting rapidly expanding cities to anchor future development around public-transit systems, especially given the changing lifestyle preferences of upwardly mobile urban populations across China and India, for whom private car ownership serves as an important status symbol. Still, Seto said she is tentatively optimistic about city planners’ ability to grow cities in a sustainable fashion. “We’ve experienced this rapid growth of urban population and urban land areas, but we’re also seeing that over the next 20 years, according to the UN, we’re going to see even more people living in urban areas,” she said. Part one of Karen Seto’s interview is available here. The “Pop Audio” series is also available as podcasts on iTunes. Sources: China Daily, USA Today. Largely through the promotion of contraceptive use, family planning programs implemented over the past 35 years by the Bangladeshi government and a variety of NGOs have helped lower the country’s total fertility rate to 2.7 from 6.5 in the mid-1970s. To build on this progress, the Population Council has joined a consortium of other organizations – including the Bangladesh Legal Aid and Services Trust, Marie Stopes International, and We Can End All Violence Against Women – to launch the Growing Up Safe and Healthy (SAFE) project in Amin’s native Dhaka and other Bangladeshi cities. Currently nearing the completion of its first year, the four-year initiative has several aims, among them increasing access to reproductive healthcare services for adolescent girls and young women and bolstering social services to protect those populations from (and offer treatment for) gender-based violence. The project also looks to strengthen laws designed to reduce the prevalence of child marriage – a long-standing Bangladeshi institution that keeps population growth rates high while denying many young women the opportunity to pursue economic and educational advancement. Amin says the SAFE project boasts several qualities that collectively set the initiative apart from similar-minded programs in Bangladesh dealing with gender and poverty. These include a strong research component incorporating quantitative and qualitative analysis; the holistic nature of the program, which incorporates educational outreach, livelihood development, and legal empowerment; a commitment to working with both male and female populations; and an emphasis on interventions targeting young people, with the hope that such efforts will allow adolescents to make better-informed decisions about future relationships and reproductive health, thus reducing the likelihood of gender-based violence. Finally, while many existing gender-based programs focus exclusively on rural communities, Amin points out that the SAFE project also stands apart because of its focus on the country’s rapidly expanding urban areas. To date, the initiative is focusing many of its early interventions in a Dhaka slum that has seen an influx of rural migrants in recent years due to climate-change impacts in the country’s low-lying coastal areas. By building programming around girls and young women in such communities, the SAFE project is looking to spark change from the bottom up, prioritizing the unmet health and social needs of some of Bangladesh’s most vulnerable populations. Sources: Global Post, Ministry of Health and Family Welfare (Bangladesh), Shaikh and Becker (1985). “By reducing population growth, we are going to have a better chance of sustaining the gains of an environmental conservation project,” said Leona D’Agnes in this interview with ECSP. D’Agnes, a technical advisor to PATH Foundation Philippines, served as lead author on a research article published late last year in Environmental Conservation titled, “Integrated Management of Coastal Resources and Human Health Yields Added Value: A Comparative Study in Palawan (Philippines).” The study provided concrete statistical evidence that integrated development programming incorporating population, health, and the environment (PHE) can be more effective in lowering population growth rates and preserving critical coastal ecosystems than single-sector development interventions. “What set this research apart from earlier work on integrated programming was the rigorous evaluation design that was applied,” said D’Agnes. “What this design aimed to do is to evaluate the integrated approach itself. Most of the previous evaluations that have been done on integrated programming were impact evaluations — they set out to evaluate the impact of the project.” This most recent research project, on the other hand, sought to evaluate the effectiveness of cross-sectoral interventions based on “whether or not synergies were produced,” said D’Agnes. 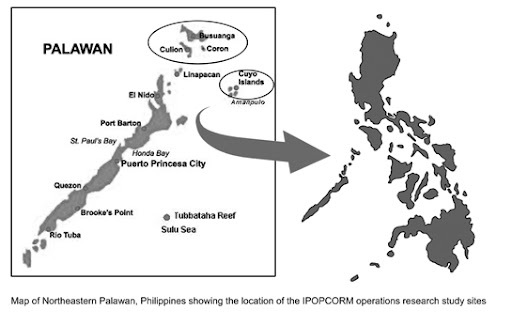 Although it took her team six years to generate statistically significant findings in Palawan, D’Agnes reports that the synergies of PATH Foundation Philippines’ PHE intervention took the form of reduced income poverty, a decreased average number of children born to women of reproductive age, and the preservation of coastal resources, which helped bolster the region’s food security. D’Agnes expects the study’s results will prompt a fresh look at cross-sectoral PHE programming. “I hope that this evidence from this study will help to change the thinking in the conservation community about integrated approaches to conservation and development,” she said. Part three of the “Yemen Beyond the Headlines: Population, Health, Natural Resources, and Institutions” event, held at the Wilson Center on May 18. With a population of more than 24 million and a total fertility rate (TFR) of 5.5 – nearly double the average TFR for the region – Yemen’s population is projected to grow to 36.7 million by 2025 and jump further to 61.6 million by mid-century, according to the latest UN projections. While those figures may not seem large by global standards, given Yemen’s already limited stocks of arable land and groundwater, the country’s rapid rate of growth may quickly outpace its resources. Yemen’s per capita water supply is falling fast in the face of booming population growth and agricultural consumption, said Al-Eryani, a water engineer who founded Yemen’s Ministry of Water and the Environment. While the commonly accepted threshold for water scarcity is 1700 cubic meters or less per capita, Yemen’s per capita renewable water availability is now in the neighborhood of 120 cubic meters, he said. Meanwhile, water scarcity has been exacerbated by erratic precipitation that has hit rainfall-dependent farmers especially hard. 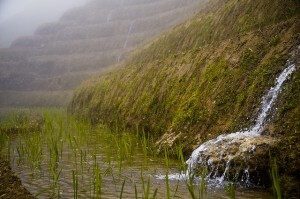 In a country with no real rivers or perennial streams, rainfall harvesting has long enabled agricultural production, as evidenced by the country’s many intricately terraced hillsides – “the food baskets of Yemen,” said Al-Eryani. Yemenis have coped with shifting precipitation patterns by drawing more groundwater for irrigation and other domestic uses. While drilling wells has provided some short-term relief, the practice is unsustainable in the long term, creating a “water deficit,” Al-Eryani said, that continues to grow each year. Yemen’s stalled economic development is particularly pronounced outside of urban areas, “where the resources are,” said Daniel Egel, citing the country’s failure to build modern transportation infrastructure and develop other economic activities besides farming. He called for the international development community to focus on creating jobs in rural areas, particularly by increasing the financing available for non-agricultural businesses and by improving secondary roads. In addition, he warned development actors to be aware of how gender inequality and local social structures, such as tribes, affect development efforts. Given the country’s dependence on agriculture, water scarcity poses a threat to Yemen’s food security and its economic development. Three out of every four Yemeni villages depend on rainfall for irrigation, Egel said, making them highly vulnerable to unexpected climate change-induced shifts in precipitation patterns. 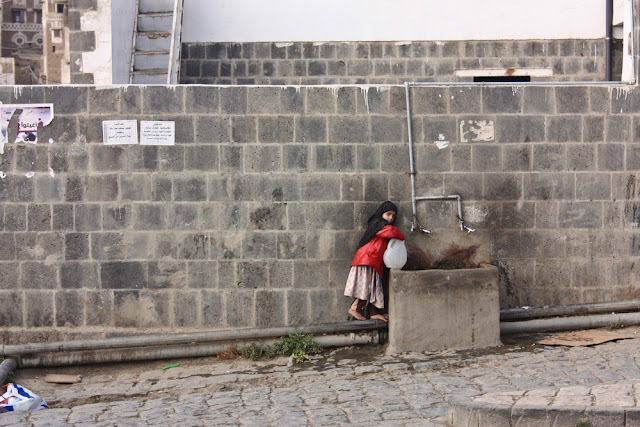 Water scarcity also weakens the financial stability of Yemeni households, with the cost of water “accounting for about 10 percent of income during the dry season,” he said. Exploit fossil groundwater aquifers in Yemen’s sparsely populated eastern reaches. Unless such concrete steps are taken in the coming years, the outlook is grim. At current rates of usage, Al-Eryani predicted that the country’s groundwater reserves could be almost entirely depleted by 2025. With up to 55 percent of the workforce engaged in agriculture, the water situation threatens to be a “domino effect of a crisis that invites many other consequences and ramifications that are really overwhelming,” he said. See parts one and two of “Yemen Beyond the Headlines: Population, Health, Natural Resources, and Institutions” for more from this Wilson Center event. Sources: UN Population Division, World Bank. Photo Credit: “At the fountain,” courtesy of flickr user Alexbip. This article by Russell Sticklor appeared originally in the Fall 2010 issue of the Izaak Walton League’s Outdoor America magazine. Read part one here. As concerns over water resources have grown around the globe, so too have proposed solutions, which range from common sense to absurd. Towing icebergs into the Persian Gulf or floating giant bags of fresh water across oceans to water-scarce countries are among the non-starters. But more moderate versions of those ideas are already being put into practice. These solutions showcase the power of human ingenuity — and reveal just how desperate some nations have become to secure water. For example, India is doing business with a company out of tiny Sitka, Alaska, laying the framework for a water-export deal that could see huge volumes of water shipped via supertankers from the water-rich state of Alaska to a depot south of Mumbai. Depending on the success of this arrangement, moving bulk water via ship could theoretically become as commonplace as transoceanic oil shipments are today. There is far greater potential, however, in harnessing the water supply of the world’s oceans. Perhaps more than any other technological breakthrough, desalination offers the best chance to ease our population-driven water crunch, because it can bolster supply. Although current desalination technology is not perfect, Eric Hoke, an associate professor of environmental engineering at the University of California-Los Angeles, told me via email, it is already capable of converting practically any water source into water that is acceptable for use in households, agriculture, or industrial production. Distances between supply and demand would be relatively short, considering that 40 percent of the world’s population — some 2.7 billion people — live within 60 miles of a coastline. With world population projected to grow by at least 2 billion during the next 40 years, water will likely remain a chief source of global anxiety deep into the 21st century. Because water plays such a fundamental role in everyday life across every society on earth, its shared stewardship may become an absolute necessity. Take India and Pakistan’s landmark Indus Waters Treaty of 1960, which is still in effect today. The agreement — signed by two countries that otherwise can’t stand each other — shows that when crafted appropriately and with enough patience, international water-sharing pacts can help defuse tensions over water access before those tensions escalate into violence. Similar collaboration on managing shared waters in other areas of the world — a process that can be a bit bumpy at times — has proven successful to date. Meanwhile, more widespread distribution of reliable family planning tools and services across Latin America, sub-Saharan Africa, and Asia will also be needed if the international community hopes to meaningfully address water scarcity concerns. Better access to healthcare and family planning tools would empower women to take greater control over their reproductive health and potentially elevate living standards in crowded parts of the developing world. Smaller family sizes would help decelerate population growth over time, easing the burden on water and soil resources in many areas. The key is ensuring such efforts have adequate funding. The United States recently pledged $63 billion over the next six years through its Global Health Initiative to help partner countries improve health outcomes through strengthened health systems, with a particular focus on improving the health of women and children. Putting a dent in the global population growth rate will be important, but it must be accompanied by a sustained push for conservation — nowhere more so than in agriculture. Investing in the repair of a leaky irrigation infrastructure could help save water that might otherwise literally slip through the cracks. Attention to maintaining healthy soil quality — by practicing regular crop rotation, for example — could also help boost the efficiency of irrigation water. The key, then, is to establish the worth of water before this comes to pass. Smart pricing could encourage conservation by making it less economical to grow water-intensive crops, particularly those ill-suited to a particular climate. “Some crops being grown should not be grown . . . once the true cost of water is factored in,” Nirvikar Singh, a University of California-Santa Cruz economics professor who focuses on water issues, told me via email. Pricing would also provide a revenue stream for modernizing irrigation infrastructures and maintaining sewage systems and water treatment centers, further bolstering water efficiency and quality both in the United States and around the globe. To be sure, implementing a pricing scheme for water resources — which have been essentially free throughout history — will be unpopular in many parts of the world. It’s natural to expect some pushback from the public as water managers and governments take steps to address the 21st century water crunch. But given the resource’s undeniable and universal value on an ever-more crowded planet, few options exist aside from using the power of the purse to push for more efficient water use. In the end, however, water pricing must be combined with greater public value on water conservation — we must not flush water down our drains before using it to its full potential. Whether that involves improving the water transportation infrastructure, recycling wastewater, taking shorter showers, or turning to less water-intensive plants and crops, steps big and small need to be taken to better conserve and more equitably divide the world’s water to irrigate our farms, grow our economies, and sustain future generations. Sources: Columbia Water Center, National Geographic, Population Reference Bureau, White House. 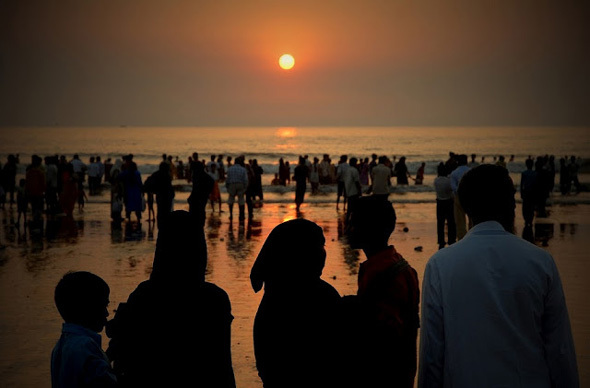 Photo Credits: “Juhu Beach Crowded,” courtesy of flickr user la_imagen, and “Irrigation (China),” courtesy of flickr user spavaai.